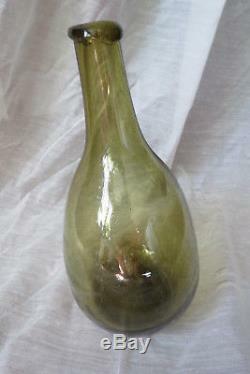 An especially nice early hand blown Chestnut flask in pale olive green. 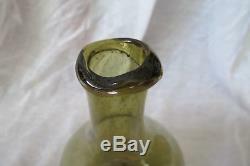 The bottle is crudely formed sits unevenly (see the photos). The lip is also very crudely formed. 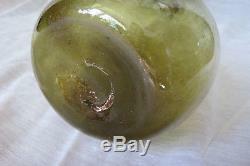 The base has a pontil scar and shows age wear. 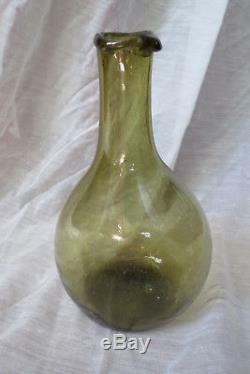 In very good condition and measures 8 1/8 tall. 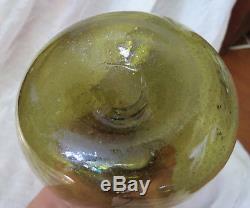 The glass has many tiny bubbles. 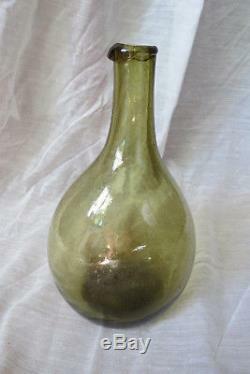 A beautiful antique Chestnut flask. 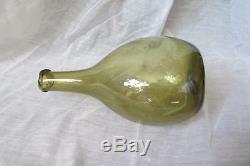 The item "EARLY CHESTNUT FLASK IN PALE OLIVE GREEN Crudely Formed with Pontil Hand Blown" is in sale since Tuesday, October 3, 2017. 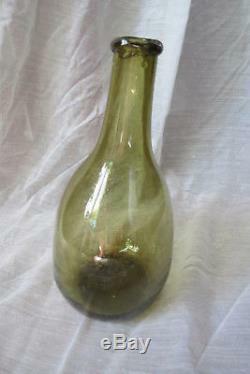 This item is in the category "Antiques\Decorative Arts\Glass\Bottles".